Concrete pavers are not the most glamorous building material, but they are much, much less expensive than stone. 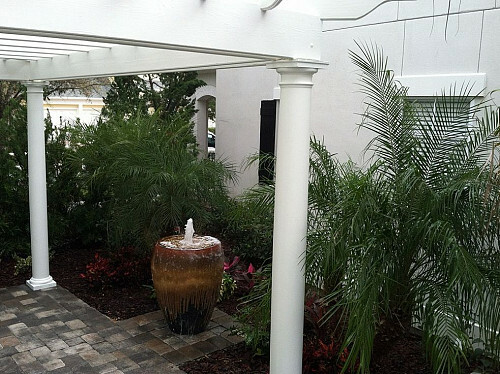 When carefully set, concrete pavers can look decidedly sophisticated and upscale, especially since advances in manufacturing have yielded pavers with a remarkable resemblance to natural stone. When homeowners think concrete pavers, they often think of driveways. Faux stone pavers are a beautiful alternative to asphalt, which can increase curb appeal by giving the driveway the look of luxury. 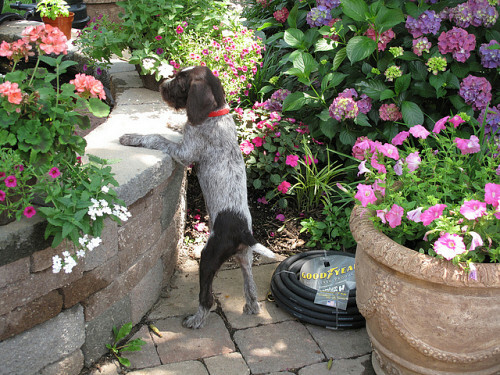 However, there are many other ways to install pavers, beyond driveways. Concrete pavers may be used as an inexpensive, relatively easy-to-install alternative in place of poured and stamped concrete, bricks, asphalt, and a variety of exterior stone products. Although there is definitely a learning curve when it comes to installing pavers, several of the following projects were done by do-it-yourselfers. A decided advantage of DIY paver projects is that they're easy to take apart and reassemble if you're not satisfied with your results. Thinking of using concrete pavers for the floor of your outdoor living room? Go right ahead. They're a handsome, practical choice! This distinguished stone-look concrete paver patio was built by Hoffnew Landscaping & Nursery, an Orlando hardscape contractor. 2. Put together a fire pit. 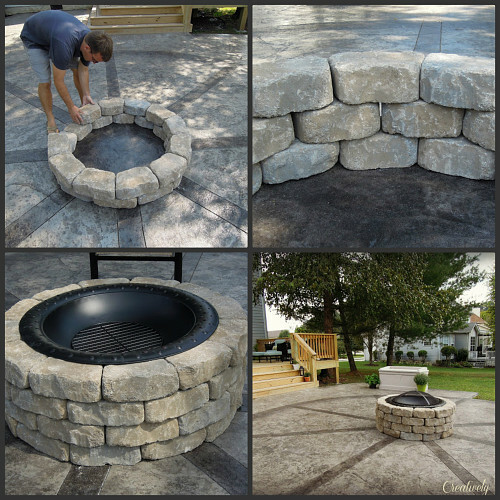 A fire pit is a wonderful addition to your outdoor space. Hard to believe that this big guy was a DIY project! The results are pretty professional looking. I love this sweet curved concrete paver pathway, but I really shared this photo because of the privacy screen pergola. 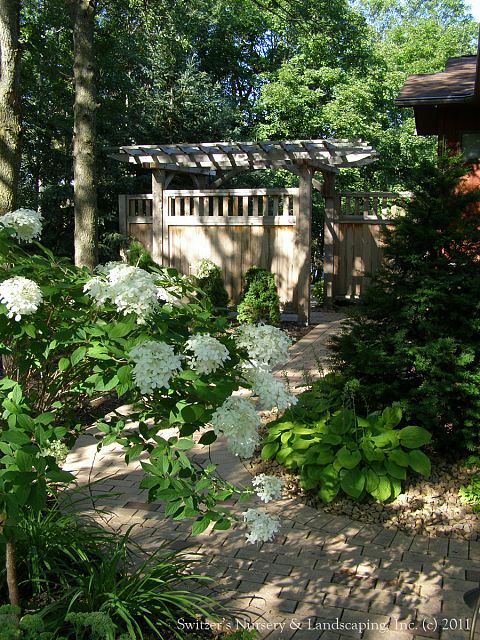 The pergola/privacy screen is such a gorgeous piece of custom carpentry. 4. Use big pavers as stepping stones. 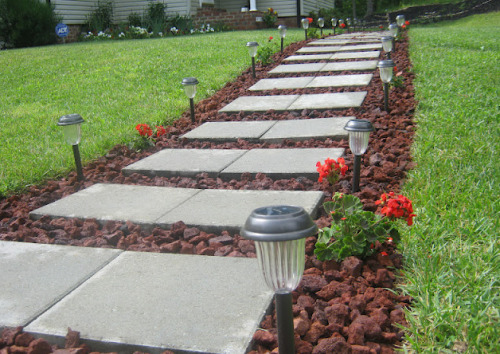 If you need a walkway to your front entrance or through your garden but don't want to invest the time or money in a fully paved walkway, a rock and paver path is an attractive solution. 5. Redo your pool deck. This "spool" (that's a hybrid spa and pool) is surrounded by a pool deck made of tumbled pavers. Tumbled pavers offer the classic look of polished stone, for a fraction of the price. 6. Assemble a "stone" wall. 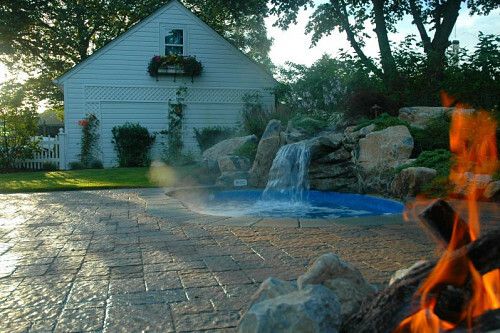 A rustic "stone" wall that is actually made of concrete pavers is the perfect surround for a charming water feature. Jack seems to approve! Concrete Removal: DIY or Not?